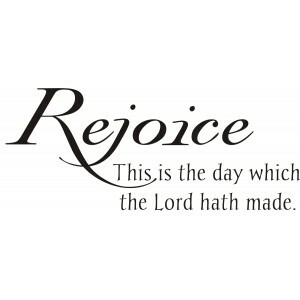 Let us rejoice and be glad in it.. When we are tempted to complain...let us instead celebrate God for what He has already done. Let's think about and rest in His goodness. For He is a good God.